It is a gloriously sunny, late summer's evening in Badenweiler, a medieval town in Germany's Black Forest region. The local marketplace is winding down for the day; and the crowd is thinning as people make their way home. Local produce, still fresh and glowing, is being stacked neatly in tiny cartons. Traditionally called the Schwarzwald, life here is rather retiring. Tourists and locals retreat before sundown, almost as if they fear that witches and trolls from the Grimm brothers folk tales would spring to life at night. The region gets its name from the thick canopy of evergreen trees that blocks most sunlight from reaching the undergrowth. This dark, mysterious land is what inspired the Grimms, who grew up here, to write the intriguing stories of Hansel and Gretel, Cinderella, Rapunzel, and many of their 209 other tales. One tiny shop is still open as its owner makes the most of the prolonged summer twilight. It is a local favourite. I step in and begin poring over the tongue-twisting literature on the back of pre-packaged cured meats and other home cooking ingredients. "How do you say that?" I ask the owner, pointing at a label that says 'Aus feinzerkleinertem brat.' He gives me a demo. I ressurrect my tongue and give it a feeble go. He explains, translating the phrase, that the "Fleischkase sausage is made with 'finely ground ingreidients'." No larger than a kiosk, the store still manages to stock an impressive array of ingredients. This is perhaps Germany's most wellknown and best-loved cake. It consists of a chocolate cake with a filling of fresh cream and cherries soaked in Kirschwasser, a clear cherry schnapps that is a specialty in the Black Forest. A staple for the Swabians, it is essentially egg-noodles. Compared to Italian pasta, the spatzle dough is moister and softer. It means 'liver cheese'-a flavorful, compact, pink meat-loaf made by finely grinding liver of beef, pork or even turkey. Essentially apple cider, apfelwein tastes fruity with a little bit of acidity. The colour ranges from a light to golden yellow. Its alcohol content is 5.5 per cent, considerably lower than wine made from grapes. The owner explains that there are over 1,500 varieties of wurst-what Germans call a sausage-in the country's culinary repertoire. Mixed and mince meat goodness, spiced-up, smoked, parcooked or raw; the style depends on the region it comes from. The taste and texture depends on the feed of the local livestock and the use of herbs and spices. Several vineyards and farmhouses pepper these gentle slopes. 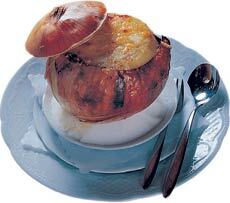 The region is part of the state of Swabia, home to some of the most traditional German fare. And it is this state that has given rise to several German gastronomic standards; think, scrumputous sausages, Swabian soups, fruity schnapps and those fabled black forest cakes, the region's most famous export to the world. 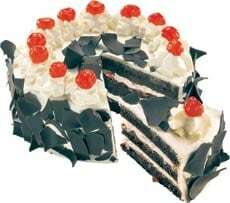 The black forest cake (cherry-topped with dark chocolate shavings on snowy cream and vanilla icing) is said to resemble the Black Forest's landscape during the winter. Here the cakes are infused with loads of cherry schnapps; one big slice and you will be in la-la land. With the sun now set, I make my way back to the Grandhotel Romerbad, my hideaway here in the hills. The wind whistles through the towering trees, which tremble uncomfortably. It's getting easier to understand the origin of the fairytales and local lores. Southwestern Germany is noted for its wines, and Swabia in particular for its cider. Conforming to rituals of the region, I settle down with a medium-dry apple cider for the evening. The bartender at the hotel seems pleased with my choice. He tells me that it is true country wine, far-removed from the sophistication and snobbery of wines associated with the church, noblemen, and the Romans. For an even more authentic experience, he serves it up in a ceramic pitcher. 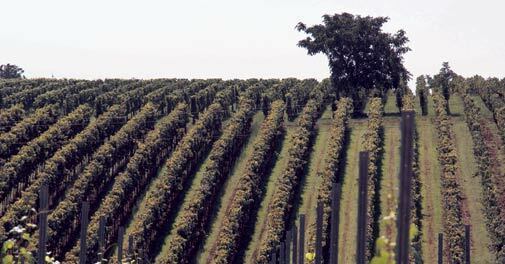 The Swabian region produces both red and white wines. These wines are crisp and have a fruity nose. Great reds include the Lemberger and Schwarzriesling (also known as Trollinger) and the bestloved whites from here are the Riesling and Silvaner. As I travel further down the German countryside, flitting by the French and Swiss border, the food sensibility alters, as does taste. Restaurants serve a more elegant and experimental version of the food that I have sampled so far. Stuttgart, the capital of Baden-Wurttemberg, is Southwestern Germany's shining beacon of the neue deutsche kÃ¼che, or new German cuisine. Reinterpreted and contemporary, Swabian specialties like maultaschen (pasta pockets filled with minced pork and greens), onion soup (served inside the shell of the onion), and spatzle (handmade egg noodles) are standard fare at the numerous gourmet restaurants in this industrial city. For the ravenous carnivore, ochsenmaulsalat (ox-cheek salad-mildly pickled, tender beef muzzle with fresh veggies), veal steak on a bed of mash potatoes, and thick slabs of liverwurst are must-haves. Stuttgart's farmer's market is a gourmand's treasure trove. The 3,000 sq. metre hall teems with fruits, vegetables, fish, meat and baked goods. Established in the 17th century, the aromas of ages and spices hang in the air and a cacophony of foreign sounds falls on the ears. It is truly an epicurian and sensory delight. At it's heart, Swabian cuisine excudes country-living. For foodies like me, this is as comfortable as it gets. Portion sizes are generous (second, perhaps, only to the US), fruit juices are dense, veggies are fresh and fragrant, the salami has the right amout of fat, and bacon has that woody aroma that reminds you of treks through the forest. Even on-thego pretzels have a crunchy chew. Swabia is hog heaven, where sausages achieve otherworldly perfection and the wine flows free.